After several years abroad, Naomi and her family moved back to the States, where she wasn’t at all prepared for the challenges of repatriation. 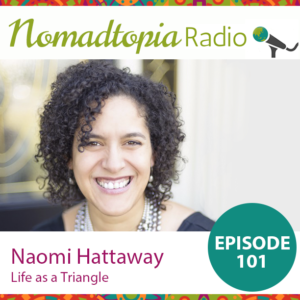 Learning about the idea that her experience had shaped her into a “triangle” helped her make sense of it all, and it led Naomi to create what is now a thriving community of people living global lives. Tune in as we talk about what it means to be a triangle, differing experiences of being an expat (and why she’d like to remove that word from our vocabulary completely), creating a location-independent real estate business, and so much more.